No parent ever wants to contemplate their child being injured or harmed in any way, but if it does happen, they can often be their child’s strongest protector. Depending on the specific situation, holding someone liable for a child’s injury can be very different than holding them liable for harm done to an adult. However, it may not be apparent when this is the case; consulting an experienced attorney can be a great help. One major fact to keep in mind after your child’s accident is that they do not generally have to file a lawsuit quickly. When an adult is involved in an accident, they generally have a set period of time in which to file, or they will lose the opportunity to do so. This is called a statute of limitations, and for most personal injury causes of action, it is two years. In other words, you have two years from the date of your accident in which to file a lawsuit. The rationale is that any longer and memories begin to fail, as well as physical evidence being more likely to be misplaced. The same is true for children – the two year period applies. However, Pennsylvania law tolls the statute until the child reaches 18 years of age. This means that children, instead of having two years from the date of their accident to file suit, have two years from their 18th birthday. This is because very often, especially with very young children, an injury may not be readily apparent, or a child may not be able to tell their parents about an injury, and the window might otherwise run out before parents would even know their child had been harmed. The other major difference between child and adult personal injury cases is that if they are under a certain age, children cannot, by law, be found to be contributorily negligent. Adults can sometimes be found to have contributed to their own injuries, though they can still recover if their negligence is not greater than that of the defendant’s. 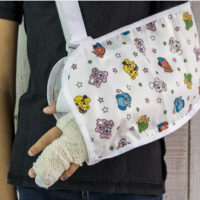 Children under the age of 7 cannot be found to have contributed to their own injuries, even if they might physically have done so, because they are generally not able to appreciate dangers as well or as quickly as adults. Children between ages 7 and 14 are usually presumed to be incapable of negligence as well, but sometimes this can be disputed, depending on the situation. If a minor’s case settles with the defendant, or if they prevail at trial and receive an award, the way that award is disbursed is also different than it would be for an adult. In most cases, any money received is put into a trust account for the minor until he reaches his 18th birthday, and any plan for the settlement or award funds must be shown to the court to be in the best interest of that child before it will be approved by the court. This is to try and prevent parents from using the funds for their own benefit rather than their child’s. When a child has been injured, it can be far more frightening than it might be when an adult has been hurt. If your child has been involved in an accident, you may be able to help them seek compensation for the medical bills they will incur, but you need a compassionate and intelligent attorney to help. The Needle Law Firm has years of experience in personal injury matters, and we will work hard to ensure that your child receives the fairest possible outcome. Contact our office today to schedule an appointment; we serve most of Northeastern Pennsylvania, including Lackawanna, Luzerne, Monroe, Pike, Susquehanna, Wayne and Wyoming counties.